Follow us on Twitter, Facebook or LinkedIn, for latest updates. If you would like to be added to our media distribution list please get in touch. We are working on a bold 20-year masterplan to achieve the company’s potential and make sure improvements are future proofed for the long-term. 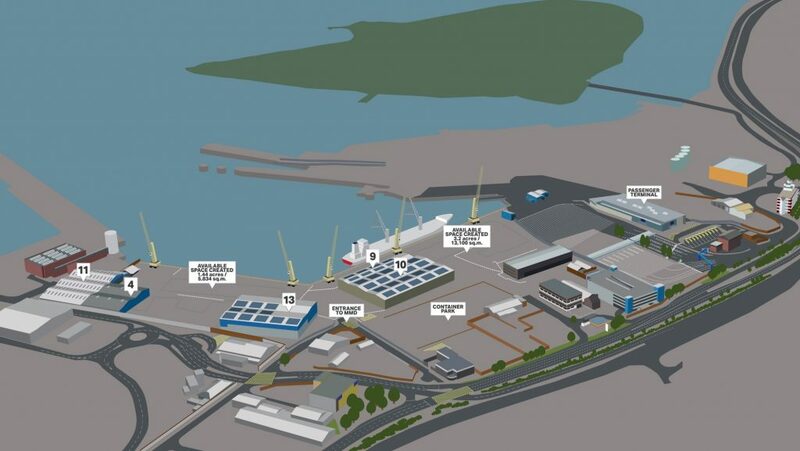 Phase one includes significant redevelopment of the current site, by removing two warehouses we will increase our container space and create additional room on the quayside to handle large scale items. Responding to changes in the industry we’re making sure we provide the facilities and service that our customers need.